If you are interested in ordering one of our large wood/tree slices for use as a centerpiece, guest book or other wedding, event or party decor, please add this listing to your cart to purchase the upgraded service of "Laser Engraving/personalization". Photos shown are just a few of the pieces we have recently completed. If you have another idea, please contact us by convo for a customized quote. This listing includes the laser engraving of your slice to your specifications. Generally, 2 names or sets of initials and the anniversary or wedding date is most popular. Longer messages will be invoiced accordingly using an etsy private listing or see above how to contact us by conversation for more details. A proof (photo) showing the font style and of your message will be sent prior to engraving. If you leave me your cell number, I can text it to you. If you happened to arrive here looking for a large wood slice, click here to return to my shop home and you will see all of the various sizes (up to 25" diameters) along the left side of the page under "sections". 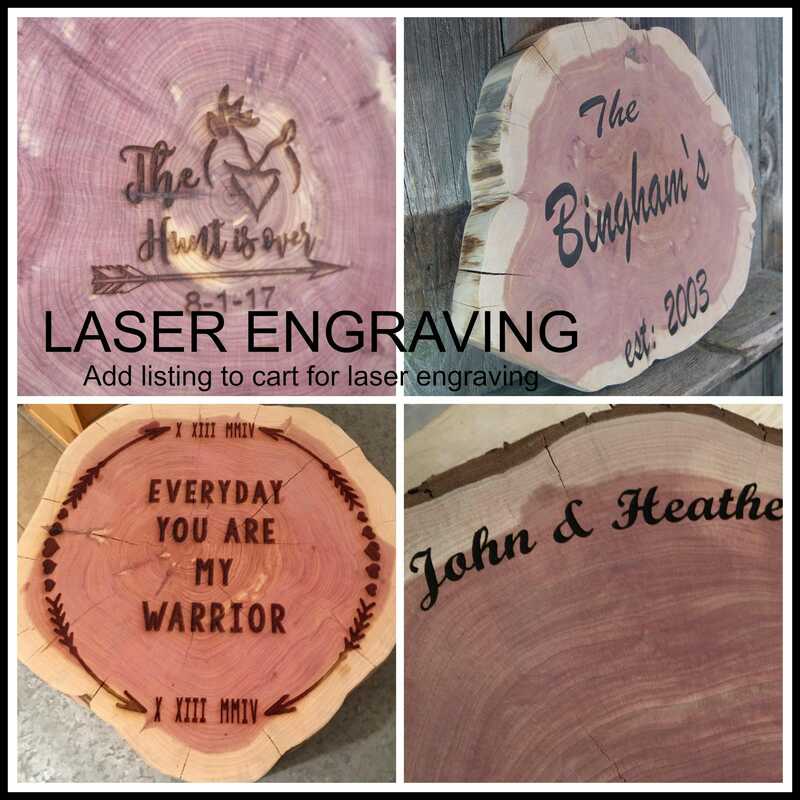 There is no additional charge for shipping on this listing, but you must also have purchased a wood slice (or guest book/marker holder, etc for us to engrave). Wow, Tricia was so friendly and fast! 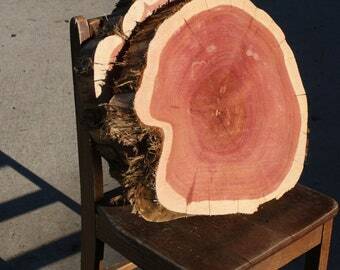 She called to verify the custom logo on the front and the wood is absolutely gorgeous. Definitely worth the polishing service and engraving!